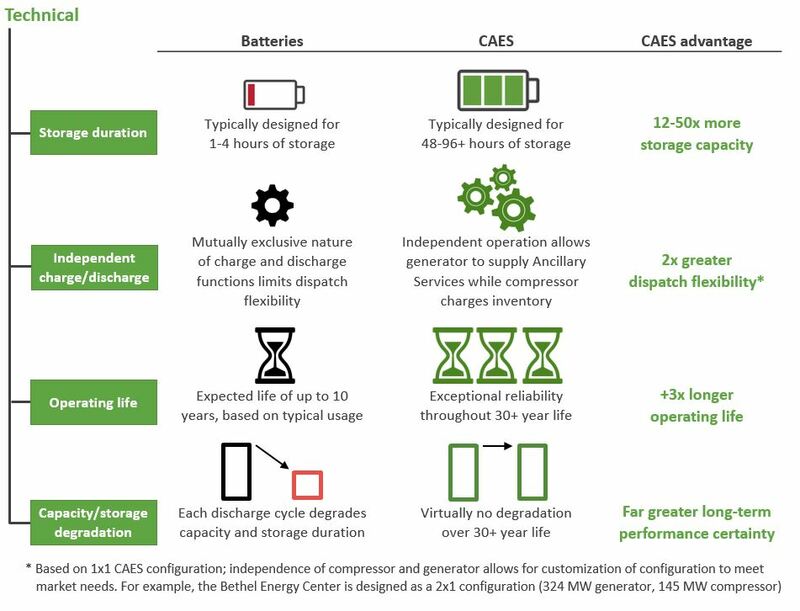 Compressed air energy storage (CAES) is a proven and reliable energy storage technology unique in its ability to efficiently store and redeploy energy on a large scale, in order to provide low-cost energy and ancillary services. – Rep. 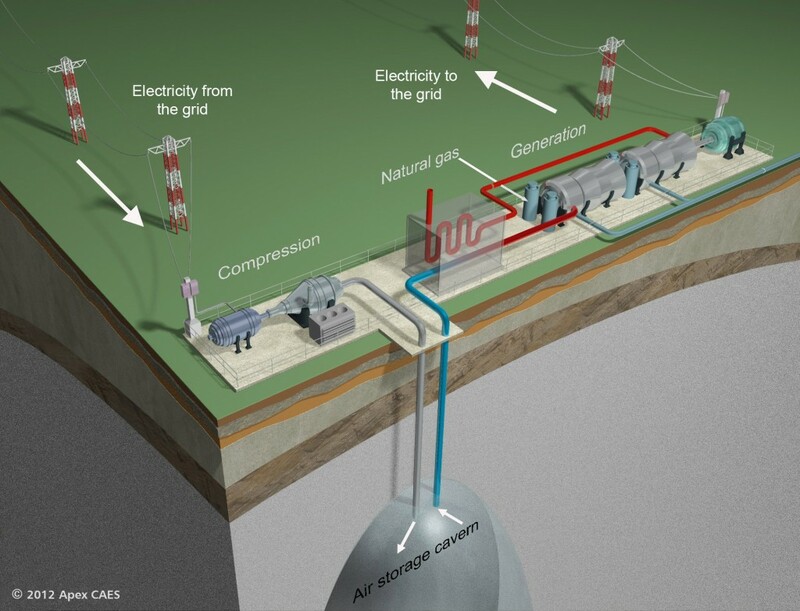 The Electric Power Research Institute. There are two existing CAES plants in the world, and the technology has been proven to be highly reliable for over 25 years of operation at each site. The first CAES plant, a 290 MW facility, was built in Huntorf, Germany in 1978, and the 110 MW McIntosh CAES plant began operations in Alabama in 1991. The Bethel Energy Center will utilize Siemens AG compressors and expanders. 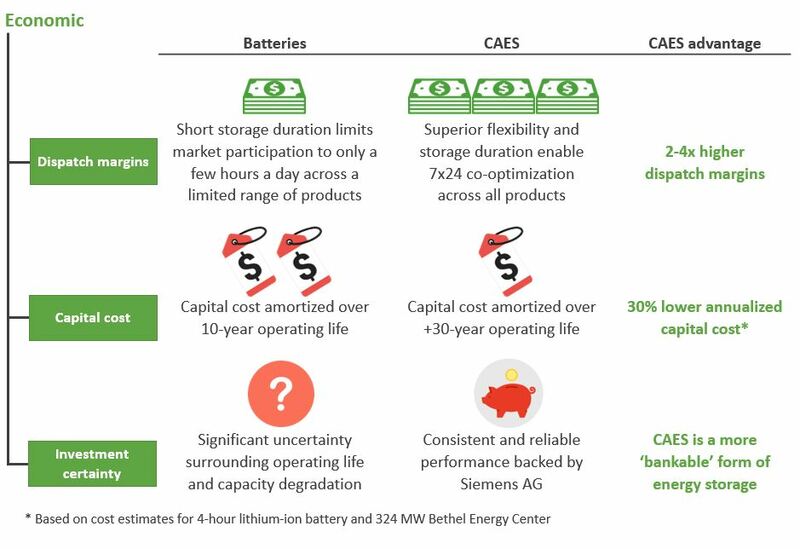 Siemens is a highly trusted manufacturer of reliable power generation equipment, and is currently the only provider of complete, integrated utility-scale CAES systems in the world. 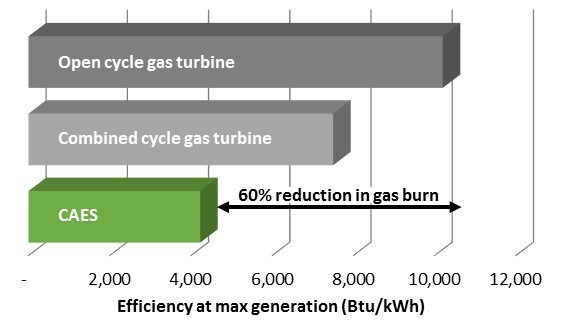 “As larger amounts of intermittent renewable energy sources such as wind and solar energy enter the market, grid energy storage becomes a means of compensating for generation fluctuations of these sources on timescales ranging from seconds to hours.” – Rep. American Physical Society, 2010. For further information, visit our references page.